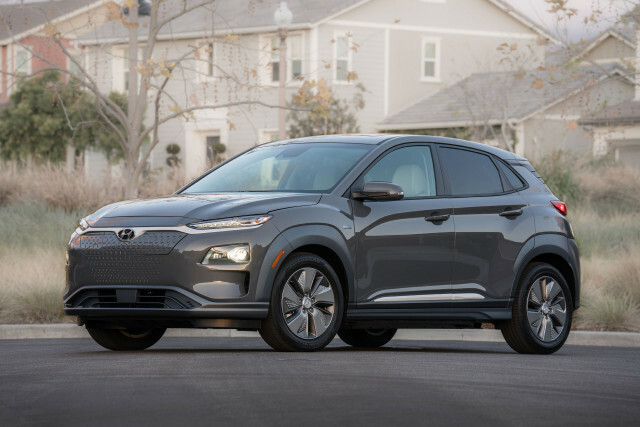 The 2019 Hyundai Kona Electric boasts the greatest range of any electric car built by a full-range automaker: 258 miles, according to the EPA. That bests the Nissan Leaf's 151 miles and Chevrolet Bolt EV's 238 miles, and it nearly ties the Tesla Model S 75D's 259-mile range. The news was first reported by Inside EVs. 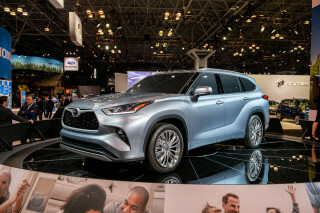 The official range rating is even longer than the 250 miles that Hyundai estimated when it unveiled the car last spring at the Geneva Motor Show. Along with the range rating, the EPA released official MPGe ratings for the Kona Electric of 132 MPGe city, 108 highway, and 120 combined, putting it among the most efficient electric cars available. A 7.2-kw on-board charger will be capable of refilling the Kona's 64-kwh lithium-ion battery in about 9.5 hours. The Kona Electric will be the first Asian-brand electric car to use a CCS Combo fast charge port that can deliver a full charge in less than an hour when connected to a 100-kw DC fast charger. The charger is located in the nose of the car, where a grille would normally be, to make it easy to access chargers. Although the Kona is shaped like an SUV, it will offer only front-wheel drive. 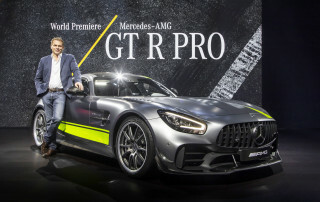 The electric motor delivers 201 horsepower and 292 pound-feet of torque, which may require traction control to keep from smoking its front tires. In overseas markets, buyers can choose a smaller 39-kwh battery, but that option is not expected to be offered in the U.S.
Other safety features such as automatic emergency braking, blind-spot detection, active lane control, adaptive cruise control with stop-and-go, driver attention monitoring, and automatic high beams, and a head-up display will be available. Hyundai has not released pricing, so it's not clear which if any of those features may be standard. Inside, the Kona Electric will offer standard Android Auto and Apple CarPlay and offer an optional, larger 8.0-inch touchscreen with an integrated navigation system. The Kona Electric is expected to be the most affordable of a new wave of electric SUVs that will arrive later in 2019.